Feel free to read my other health articles, 3 Things You Can Do To Prevent Ebola Virus, 2 Things You Can Do To Prevent Enterovirus, 2 Simple Things You Can Do To Prevent West Nile Virus, 3 Things You Can Do To Prevent Swine Flu, 5 Things You Can Do To Prevent Pneumonia, and 4 Simple Things You Can Do To Prevent Cryptosporidium. Because strep throat is highly contagious, consistent sanitation is strongly recommended. Hand washing is absolutely necessary because it kills many germs and bacteria. It also reduces your risk of contracting this illness. You should use hand sanitizer regularly or bleach as an alternative to sanitize surfaces. Cabinets, toilets, and doorknobs are the main culprits to passing along harmful germs. Do not eat or drink from the same utensils as someone else. This is one of the easiest ways to infect others with this bacterial condition. When washing dishes, you should consider putting some bleach into your dish water. When coughing or sneezing, cover your mouth, especially when children are present. During the school year, children have the highest risk of contracting strep throat. The cramped spaces of schools and being exposed to bacterias and viruses of others makes them more vulnerable. Adults can also suffer from this illness for similar reasons and limit their contact with people that may be infected. If you believe that you may have this condition, stay home from work until your symptoms have disappeared. Children should not attend school until they feel better. It is important to get diagnosed for strep throat because it is often confused with the common cold and other illnesses. If your throat condition has not improved within 2-3 days, you should strongly consider consulting your doctor. It is recommended that you ask your doctor to perform a rapid strep test. Your health care provider will examine your throat carefully and swab the inside of your mouth. The good thing about this test is that it only takes minutes to complete. Also, your results will be known within a couple of days. If you test positive, your physician will advise you on the best course of action. Unfortunately, there is no vaccine for strep throat, making this diagnosis even more important. Practicing good sanitation habits can significantly reduce your risk of contracting strep throat. Hand washing and sanitizing surfaces can kill numerous bacteria and germs. Adults and children should limit their contact with individuals that may be infected. If necessary, they should stay home from work or school. It is important to get diagnosed because this illness is similar to other conditions such as the common cold or a sore throat. This is perhaps the best thing you can do to prevent this condition. This is a preventable illness and these 3 things can help you prevent it. Cough and temporary relief. Due to minor throat and alcohol free. Kills 99.99% of most common germs in as little as 15 seconds without water or towels.Dermatologist tested.Dye-free, 8 oz. 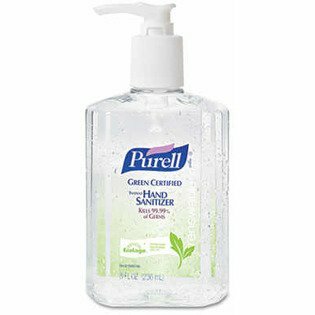 PURELL Green Certified Hand Sanitizer helps condition skin with a natural moisturizer.12 packs per case. 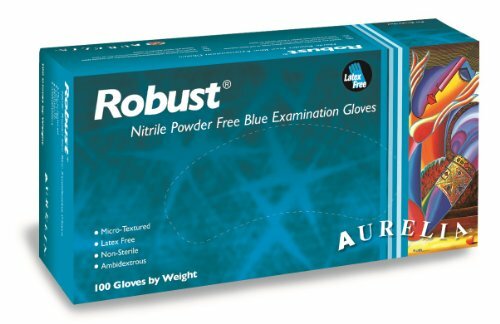 The Aurelia Robust 9389 nitrile powder-free,disposable glove has better puncture resistance compared to latex or vinyl gloves,and is textured along the length of the fingers for improved grip compared to a glove with textured fingertips.This powder-free glove leaves no residue,reducing the risk of contamination compared to a powdered glove.This ambidextrous blue glove is suitable for dental and medical applications. Good article, strep is the worst! Just wanted to point out though, at least in my experiences with the DR and strep, you get the results of the rapid test within minutes. They've always used two cotton swabs, one for the rapid test with the near instant results, and the other they send to their lab, since the rapid test isn't 100% accurate. Out of the ten times I've had strep in the last 10 years, my rapid results were always negative, but then they'd call me a few days later saying I had it. Thanks Doc...like I didn't already know that. Thank you for taking the time to comment JillianFae!